The decision to initiate the badger culling scheme is not only ill-informed, but deliberately shallow. It is time to consider a positive and viable solution rather than scapegoating a species. Over the next 25 years Owen Paterson intends to wipe out at least 130,000 of our native badgers and to overturn all our wildlife protection legislation in the process. This whole 'cull' hysteria has an agenda. If the legal protection status of badgers is overturned, it will quickly pave the way for that hunting/shooting/killing/culling minority to remove protection for other species: red deer (now deemed "vermin" by Mr Paterson), buzzards in Scotland and foxes. The cull zone in Somerset has few cows in it – you can drive for 10 miles without seeing one – but what is in their place are hunting lodges and agri-businesses, both of whom would find the cull profitable. DEFRA commissioned a report back in 2008 (see p.15 – Foxes), to ascertain the impact extensive badger culling would have on other wildlife in the area where a 'cull' had taken place. An experimental investigation was, in fact, carried out re-fox numbers increasing in direct response to badger culling, and it was found that over a period of 2 years, "mean fox density increased by 57% in the culled areas within 24 months." That's not an insignificant relationship. Amongst other things, the badger culls are a ruse to overturn the hunting ban within the next 2 years. All our pro-cull ministers, including Mr Paterson and Mr Cameron, are known hunters. Only 0.5% of the national herd is actually bTB infected at the moment. Yet healthy animals are being routinely slaughtered and farmers compensated at huge expense to the public purse. Of the animals slaughtered last year, 28,400 carcasses were sent straight back into the human food chain, making a complete hypocrisy of the culling of both cattle and badgers. The NFU who are driving these culls are an unelected quango, who only represent 18% of British farmers. They are predominantly City money-men. They have never bothered to ballot their members on this issue – and yet, they are driving government agricultural and environmental policy. A great many farmers are against these senseless, cruel culls. Most are in favour of the vaccination of badgers – as an interim measure – and of cattle, as soon as the DIVA test has been approved. Farmers Against the Cull, Not-In-This-Farmer’s-Name and Small Farms Association all testify to this. The vaccination option exists, for which a great deal of public money has already been spent. And there are trained vaccinators available to farmers now, including Totnes Badger Vaccination Action Campaign in Devon, to which I belong. Laboratory and field studies have demonstrated that vaccination of badgers by injection with BCG significantly reduces the progression, severity and excretion of TB infection. Chambers et al (2010) showed the BCG vaccination of free-living badgers reduced the incidence of positive serological test results by 73.8%. Killing badgers as a means of controlling the spread of the disease has been overwhelmingly declared ineffective by a host of eminent scientific experts. The total cost of killing a badger is £2830. The Government admits it could vaccinate for only £662. TBVAC, for example, only needs to charge £30 per badger – the cost of the vaccine. Farmers who are opposed to badger culling have, however, been routinely threatened by the NFU: with having their milk quotas cut and through intimidation by neighbouring farmers. The majority are simply too afraid to speak out, though most favour vaccination. 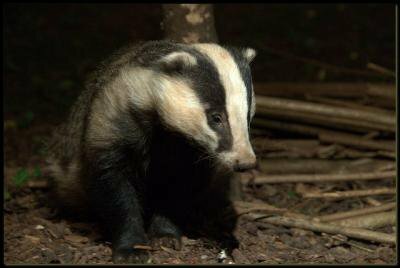 Most of the badgers being killed are perfectly healthy. For the few who do have TB, perturbation will actually worsen the spread of the disease. Badger culling seriously disrupts badger populations and has been shown to cause perturbation in the remaining population, (as badgers try to flee the cull-zone), which will actually increase the risk of any disease spreading. Maintaining the social stability of badger populations is key to reducing the potential for them to spread infection. These culls are being carried out – not to tackle bTB, but to allegedly ascertain “humaneness” of killing methods. That is supposed to be the agenda. Yet when the Humane Society International made a Freedom of Information request recently they discovered that only 2% of these culls would actually be monitored. There will be just 4 people on the ground, in fact. Given that the shooters also have bullets with a 2 mile trajectory, and given that they are also being told not to bother to check corneal reflexes to establish levels of consciousness, and given the fact that we are talking largely about inexperienced teenage farm-hands shooting in the dark, a complete mockery is being made of ‘humane monitoring.’ We have this from DEFRA: “The collection of data must not influence or interfere with the action of the shooters.” This means that shot but conscious badgers will be left in order to allow the shooters to carry on killing other badgers. The HSI has detailed the sort of agonizing suffering the badgers are going to go through: severe haemorrhaging, increase in respiratory rate, hyperventilation, bone injury such as bullet damage to the skull, spine, ribs and legs; soft tissue damage to the lungs, heart and liver. Those badgers killed relatively quickly will likely die due to “extensive destruction of a vital organ” but those who are not shot cleanly will likely die due to wounds leading to “secondary infection and starvation, because of reduced mobility.” On top of that abandoned cubs will starve in setts. DEFRA has admitted that many animals are likely to be wounded but not immediately killed. Unconfirmed reports are coming through from the cull zone in Somerset this morning that: “badgers streaming with blood are running across the roads, chased by dogs” – in total breach of the Natural England licence. The pro-cullers have been screaming about too many badgers, badger populations figures out of control etc. - but badger deaths are already high. In spite of the badger’s legally protected status, it’s estimated that 20,000 badgers die at the hands of diggers each year. Badger baiting was banned in 1835, but this barbaric activity still exists today in many areas. Some 30 - 40,000 are killed on the roads each year, but, since badgers became accused of spreading bTB it is well known that there are many vengeance killings under cover. Some farmers have been accused of gassing, poisoning or shooting badgers on their land, and throwing them on the road, to give the impression that they are road kill. As we’re losing badgers at a rate of 60,000 per year already, and as Owen Paterson intends to wipe out another 130,000 we will very soon see the extinction of a much-loved and ancient native species and for nothing bar a political scapegoating exercise, and the opportunity for our wealthy weekend hunters to come down from London and exercise some dominion over the countryside, whilst they play ‘God’ with the self-regulating balance of the eco-system. These culls serve no-one but this undemocratic, feudal minority who believe they are above the law of the land – and all its experts. What’s happening is nothing short of a national scandal.